Veneers provide a transformation that is unmatched to any other cosmetic enhancements: to someone who used to be embarrassed to show their teeth, veneers can be life changing. A veneer is a simple porcelain shell that fits over the front surface of a tooth. Veneers can restore teeth that are chipped, misshapen, unevenly spaced, and discolored. 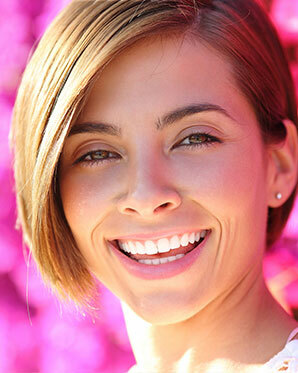 Our veneers are completely customized in size, shape, and color to make your smile look as natural as possible. 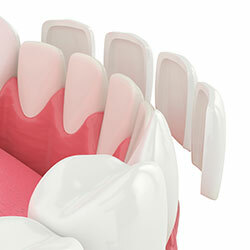 Our dentists begin the process of veneering with the end goal in mind. We create a smile design based on aesthetic principles to match your unique situation and desires. This ensures that you will be overjoyed with the final product before we ever begin treatment. During your initial consultation at our Roseville dental office, we will conduct an extensive interview and examination to ensure that we have a full understanding of the aesthetics that you desire. We then merge our expert opinion with your goals to come up with a unique design plan. We then create a model to show you what your final smile will look like. You’ll return to our office for a second appointment, during which one of our doctors will carefully remove a small portion of the surface of your teeth to allow room for veneer placement. We will also take molds at this stage to ensure the optimal fit of each veneer. We may place temporary veneers while our master ceramicist creates your permanent veneers. Once your veneers are finished, we will remove your temporary veneers and permanently adhere your new veneers onto your teeth. With proper care, veneers can actually strengthen the existing tooth structure and last a lifetime! When it comes to your smile, experience counts! Drs. Kreston Anderson, David Cernik, Emerson Lake, and Evan Lomen have decades of combined experience providing cosmetic restorations with veneers. Our dentists and team remain on the cutting edge of veneer techniques and cosmetic training by working with some of the most sought-after ceramists in California to maintain our high standards.